Have received some comments asking me to calculate the vapor line height of a batch reactor. Usually everybody will ask about the dia calculation, but this is something that caught my focus, because being frank i too donno the exact way to calculate the height of vapor line. This post is requested by Mr. Ram prasad. How to calculate the column dia required for a reactor ? But before going in depth calculation, i want you to know that this is just my way of calculation, there may be a direct calculation or something, but i donno those all, and openly speaking i don't like remembering all the equations, if required i'll try to derive those equations. Is there any relation between the height and dia of vapour column ? There is nothing like that, if there is something like that earlier i should have demonstrated you, As vapour column is meant for vapour / gas transferring from reactor to condenser, and the dia depends on the boil-up that is generated in the reactor, height should be designed based on the vapour density, if the vapour density of a solvent that i need to distill out is high then automatically the vapour won't reach much height and in between it will get condensed. Anyhow, i think this knowledge is enough for getting started, if anything you need to grab just comment in the below section. simply, P = ꝭ x g x h.
Here today i'll calculate the vapour column height required for distilling methanol in a batch reactor. P x V = ( w / W ) x R x T.
ꝭ = ( P x W ) / ( R x T ). W - boilup, R - universal gas constant, T - Boiling point or any other temp. Antonie equation: Log P = A - B / ( T + C ). A, B, C are antonie constants. Open this in new tab for antonie constants. As the old calculation is creating some controversies, i've decided to add a new way to calculate the height of vapour line required. Lets the case be, a 5 KL SSR with 60% methanol inside and we need to calculate the vapour line size. So out let temperature will be 77 C.
LMTD = ((80 - 30)-(77-64)) / Ln((80-30)/(77-64)) = 27.46 C.
Density of Methanol is 0.79 Kg/L, Mol wt. of methanol is 32.05 g/mol. P = 69.09 KPas = 69092.71 Pas. How to calculate Vent size for vessels ? What is vacuum steam technology ? Lets calculate height based on the above mentioned relation, P = ꝭ x g x h.
h = 69092.71 / ( 1.1 x 1000 x 9.81 ) = 6.40 m.
Above mentioned 1000 is to convert density from Kg/L to Kg/cu.m. Hope you enjoyed the calculation here....!!! ** The case study is changed a the previous is based on antonie equation and it'll slightly cause controversies, thats why i've modified with a fresh calculation. pl comment next time with identity as your comments were getting detected as spam. How we got p value 84119 ? For a gas or a liquid the molecular weight will remain same and the chemical formula will also remain the same, but density varies, that's how i've taken the the molecular weight for boilup. Any queries feel free to comment. M is nothing but the amount of mass that is distilled out, that's how i meant it as boil up, and what you have mentioned is correct, i've just changed the terminology, don't mind it. I don"t know the process, but i can say clearly that the entire calculation is wrong. Once check the unit consisttancy and also try to find the mistake by calculating it with using units for each and every value you have taken. Glad to receive a comment like this, pl spot out the section where i went wrong, so that i will change it, and as these post's were of my own knowledge there may be chance for mistakes, so pl don't mind. 1. while you are calculating boilup value "U" value you have taken as 200 w/m.k and at the same time latent heat as 264 kcal/kg. Here you have to convert watts to KCal. 2. And once check unit consistancy for density caluculation. 3. And finally for height calculation something went wrong. 1. in this whole blog, when ever i consider something as U value, the units that i consider shall be KCal/hr.Sq.m.K, and the units(w/m.K) you have mentioned belongs to thermal conductivity not overall heat transfer coefficient. 3. In the height calculation, i've extended calculating the height in m, may be i should have ended it in the main formula itself, now i've edited, just check it now. Ohh sorry, Thank you for clarrifying me. Thanks for landing on this page and reading this post. By the next time you visit, kindly add comments with your name, if any hurdles were there while commenting with you real name, lemme know those. Are you saying that if the boil up is increased then height of vapor column will come down ? At least the formula says so. Do the calcs by considering 75% reactor filling and boil up there of. As the boil-up decreased then the line size should be reduced in order to enhance the pressure inside the line and for effective transfer of the boil up towards the condenser. And what are you have mentioned is a inverse relation and that cant be done practically. Good, land again with pleasure. plz let me know what temp u have taken in while calculating LMTD for methanol? Very good but can you find vacuum pump requirement for 3kl SSR using methanol as solvent. Usually vacuum pump shall be selected based on the system capacity and leakage rate irrespective of solvent. M you cannot take constant everytime, because hour to hour during distillation it will vary. Next time, kindly comment with your good name plz. 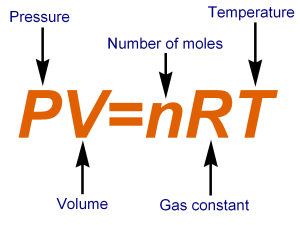 R value.. Can you tell me how you got the Universal gas constant value? i am installing 5 kl reactor & 20m2 condesor (temp of cooling water is 25 25 deg avg. )to cool down vapor of VAM at time of vam & catalyst reaction. is this installation ok to cool down VAM vapor ? What does this VAM means exactly ? Doesn't the height of vapor column change with size of vapor column? Please explain me. Yeah, it may change inversely, because as the dia increases the built in pressure will decrease. How to calculate the size of vapor column for a batch reactor? Vacuum distillation, the velocity should be considered as 65 to 70 m/sec. Why steam is given from top of the reactor jacket and others from bottom? If liquid utilities were given from top then there wont be any pressure buildup in the jacket as the incoming utility will get discharged from the jacket through gravity and also will result in air locks generation, hence liquid utility shall be given from bottom and the steam shall be given from top. Does boil up change for vacuum distillation and normal distillation? If yes, how? Please explain me. Nice information provide you to all. My self Dheeraj, in this case at the time of density calc. How to calculate the vapor pressure? please provide clear calculations for better understanding. through your calculation MeOH vapor density was 4010Kg/m3, is it practically true? please justify for me. Modified the calculation slightly, as the existing calculation which uses antonie equation is creating some sort of controversies. Am ok with the calculation part. i tried it by my own applying it to our reactors also. My doubt is can we have the height less than we calculated also. Because above the calculated height we may experience self condensation. But i think height lesser may also be used. Its right or wrong? please clarify. This post will be modified slightly to make it clear, as currently it is creating some controversies. i have doubt in Antonic eqn calculation ,how the P value is coming 630.95 mm hg,please reply sir. any conversion is there. in Boil up Calculation why r u not taken Q=SENSIBLE HEAT+LATENT HEAT. PLEASE REPLY SIR. In the boil up calculation, we need to determine the amount of vaporization, so i've considered only latent heat. I want P & ID software for Pharma industry.atleast Names sir. share me your mail id, through contact me page, i'll share you the equipment symbols. Great point you made here, thanks, actually it need to be considered, correcting the post now. Keep on visiting, next time kindly comment with your good name. How did you get boil up rate as 159.7 kg/hr? It's 155.97 Kgs/hr, not 159.7 Kg/hr, kindly check the above calculation. Boil-up = U x A x LMTD / Latent heat = 200 x 7.5 x 27.46 / 264 = 155.97 Kgs/hr.